Just in time for Earth Day, new satellite data corroborates scientists' findings that the Earth is warming at an alarming pace. The GISTEMP data, until now the most comprehensive kept by the U.S. government, uses land based thermometers, as well as many based on buoys and elsewhere at sea, to record temperatures and takes an average. AIRS uses 2,400 wavelengths of light to create 3D maps of temperature, humidity, and clouds throughout the atmosphere. What's striking about the new study is how closely its recordings mirror those of GISTEMP over the years 2003 to 2017. One weakness in the GISTEMP data is that its findings from polar regions are sparse because it's difficult to keep instruments working there and there are fewer weather stations with those instruments. The AIRS satellite data, however, is perfect for filling in those gaps. It shows that temperatures in the arctic rose faster than GISTEMP data has shown: 2.5 degrees Celsius (4.5 degrees Fahrenheit) per decade, since 2003. To avoid the most catastrophic damage from climate change, the Paris Climate Accord has set a target to keep average global temperatures to 1.5 degrees Celsius (2.7 degrees Fahrenheit) above pre-industrial levels. Cooler polar regions trapping water in ice sheets is key to that goal. 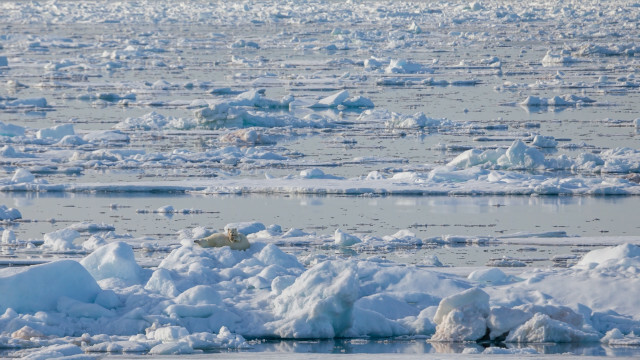 The new data reinforces findings that the Arctic is warming faster than previously acknowledged and that understanding warming in the Arctic is important to what's happening in the rest of the world," UC Berkeley scientist Zeke Hausfather told The Washington Post. Previous satellite temperature data relied on microwave readings, which didn't always agree with those from ground-based instruments, leaving climate science open to question. 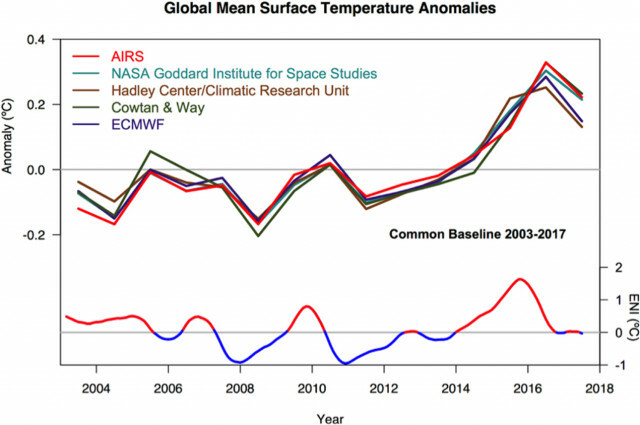 The new data from AIRS gives scientists far greater confidence in the accuracy of existing global temperature measurements that show the Earth is warming. “The estimates that we’re getting of the trends from the surface temperature network and ocean buoy network is matched to a ridiculous certainty by the trends that we’re getting from this remote sensing,” said study co-author Gavin Schmidt, a NASA scientist who leads the GISTEMP study, in a Scientific American report. 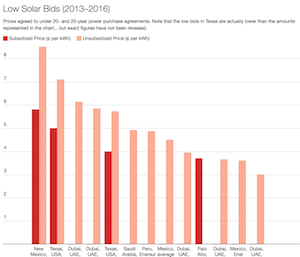 READ ALSO: Black Friday report shows climate change already very expensive in U.S. Such correlation will make it more difficult for critics of climate change theory to thwart efforts to mitigate global warming. The AIRS satellite data relies on more up-to-date infrared readings. The data coming from satellites scanning the Earth puts to rest concerns about surface temperature readings coming from urban "heat islands," and polar readings coming only from coastal edges. “This is a really good demonstration that, again, totally independent methodology ends up producing not just qualitatively the same results, but quantitatively the same results,” Schmidt said. "We know the planet is warming, but this is one more nail in the coffin to people who claim that the surface temperature estimates are uncertain or not to be trusted." Of course, confirming that the world is warming faster than we thought is not good news. But confirming climate science gives us better tools to fight it. Green Car Reports respectfully reminds its readers that the scientific validity of climate change is not a topic for debate in our comments. We ask that any comments by climate-change denialists be flagged for moderation. Thank you in advance for helping us keep our comments on topic, civil, respectful, and fact-based. One of the frustrating things about following Tesla for many years is that misplaced attacks on Tesla, criticism of Tesla, and Tesla smears have not dissipated over time as Tesla has proven itself. In fact, despite so many “impossible” accomplishments and despite Tesla absolutely nailing its 2006 Secret Master Plan, criticisms and smears seem to have increased. This can be super frustrating and annoying — the ignorance alone, not to mention the many implications. However, it can also be funny. I mean, seriously, critics have been forecasting Tesla’s imminent death for more than a decade! Where’s Mark Twain when you need him? Writing Tesla flashback and Morning Monkey Business articles is one fun way to respond to the ongoing nonsense, but I realized there was something better I could do that could also have a much more positive and practical impact. I could organize a celebration, or even a global celebration, a network of celebrations! You could focus on test drives and showing off the supersplendulous Tesla Model 3, Model X, Model S, and Roadster. You could host a house party, a pool party, or a Tesla camping party. You could launch an epic road trip, organize a Tesla parade, plan a day of Tesla drag racing, or create a Tesla scavenger hunt. You could have a frunkpuppy party, organize a day of pranks using Tesla Summon, or try to set a record for the highest number of dancing Model Xs. There are many things you could do. The point is to have fun and spread the good news that Tesla, actually, is not dead and isn’t going to die anytime soon. 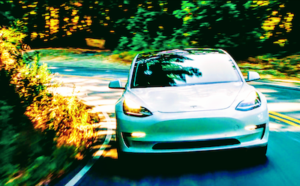 To the contrary, Tesla is seeing its growth explode, Tesla has the most satisfied buyers on the auto market, Tesla offers a car that is better than a BMW 330i but has a total cost of ownership comparable to a Toyota Camry or Honda Accord, Tesla has broken countless sales records, and Tesla is essentially in a league of its own at the top of the auto market. I spent some time trying to think of the best way to organize the organizers, and after considering pretty maps, a dedicated website, and more, I landed on a super simple and basic approach that I’ve seen work well time and time again with Tesla owners and fans — a Google Sheet (or two of them). If you’d like to join an already planned event, take a look at what’s happening here and send an email or text message to the organizer. 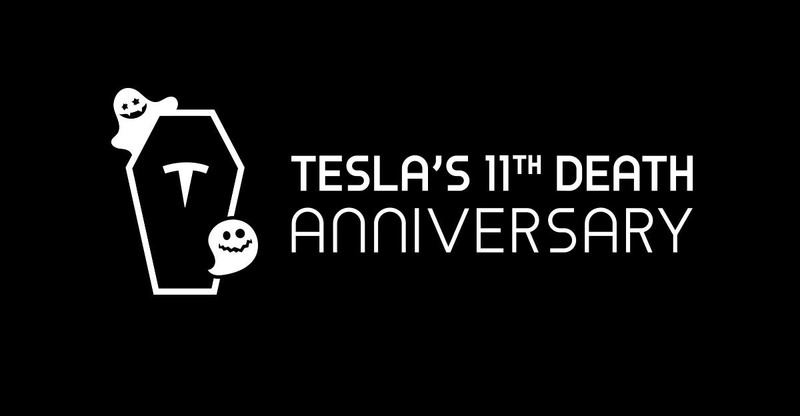 If you’d like to organize an event, use our contact form and choose the option “I want to host or join a Tesla 11 Year Death Anniversary event!” Just do it. 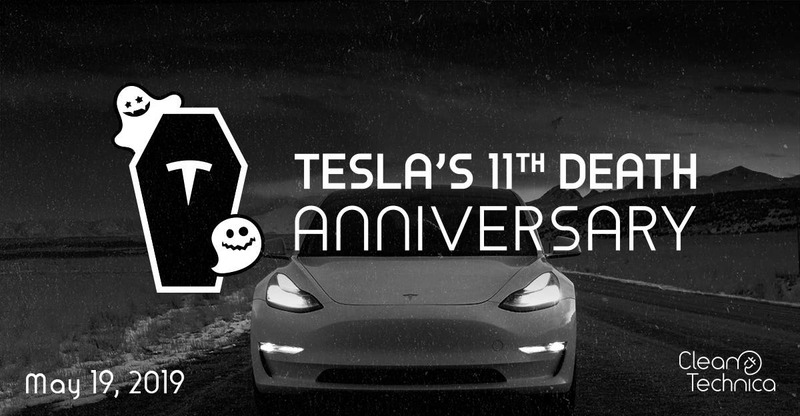 While the general plan is for all events to occur on May 19, since that’s the anniversary of the 11 year old “Tesla Death Watch,” we’re flexible. You can organize an event for another day if the 19th doesn’t work for you. Drop us the info and we’ll promote the heck out of it. 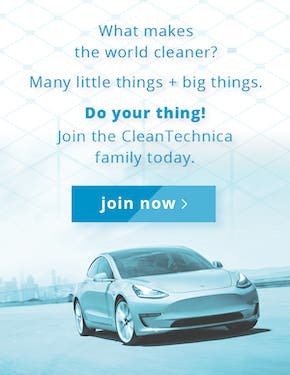 Of course, you should also post about it on reddit, Twitter, Facebook, via your local Tesla owner group or EV club, and anywhere else you think you can attract attention. The sooner you let us know of your involvement, the more we can market your event and help bring in more organizing support and participants. We are really going to blast the heck out of this network of celebrations — to an annoying degree — so we hope you don’t hold back your own desire to join the fun! Zachary Shahan Zach is tryin' to help society help itself (and other species). He spends most of his time here on CleanTechnica as its director and chief editor. He's also the president of Important Media and the director/founder of EV Obsession and Solar Love. Zach is recognized globally as an electric vehicle, solar energy, and energy storage expert. He has presented about cleantech at conferences in India, the UAE, Ukraine, Poland, Germany, the Netherlands, the USA, and Canada. Zach has long-term investments in TSLA, FSLR, SPWR, SEDG, & ABB — after years of covering solar and EVs, he simply has a lot of faith in these particular companies and feels like they are good cleantech companies to invest in. But he offers no professional investment advice and would rather not be responsible for you losing money, so don't jump to conclusions. As has been mentioned in previous articles, it has been rumored Tesla is about to refresh the Model S & X. While at this point we don’t know exactly what this refresh will include, we did just find out one very specific detail. 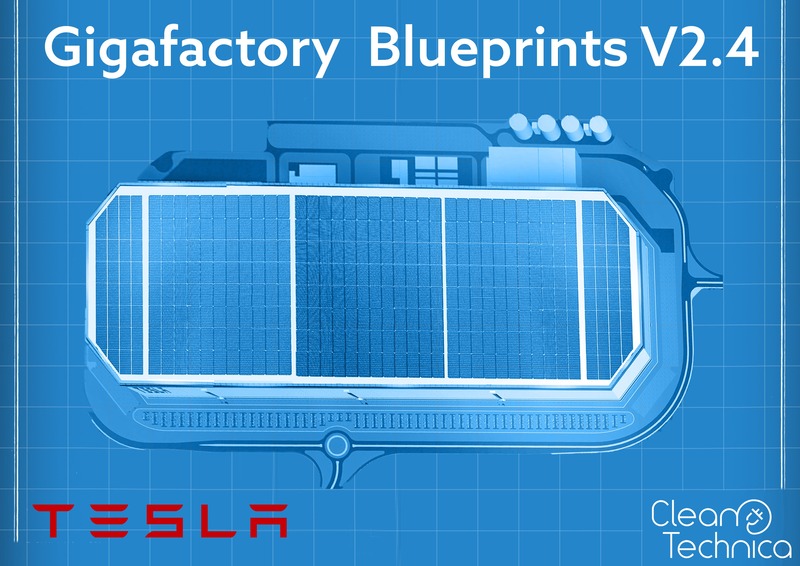 Tesla has just shipped hundreds of new drive units from Gigafactory 1 as part of “Project Raven,” a source close to the project just informed CleanTechnica. Does this mean that the Model S and X are about to get 2170 battery cells? Not at all, since that too would have to come from the Gigafactory and there is no evidence to suggest that. (In fact, word is: these batteries are a Model 3 bottleneck.) The new drive units are similar to those used in the Model 3 since they utilize permanent magnets. This translates into a gain in efficiency which will increase the range of the Model S and X. In addition to that, the new drivetrain is likely to be rated for a million miles just as the one for the Model 3 is, since this is an important goal for Tesla. 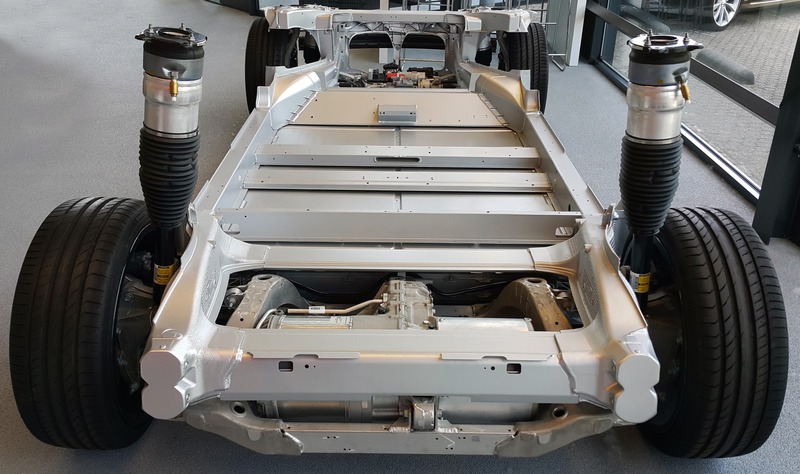 Many questions remain, like whether these new drive units will allow the new versions of the Model S/X to accelerate faster than the previous ones or whether Tesla will start giving people the option to choose between more range and higher acceleration. The Model S and X lines are highly manual compared to the Model 3 General Assembly 3 line. This could potentially mean offering more options, even if that goes contrary to Tesla’s long-standing effort to simplify production. Some might wonder whether reducing Model S and X options could have been a stepping stone to make the Model S and X refresh easier. What else will this refresh potentially include? The refresh is likely to allow for higher Supercharger speeds that were recently made available via an update for the Model 3. 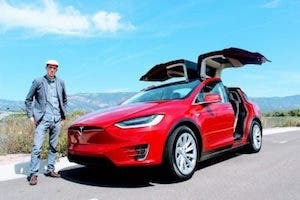 It is rumored that the Model S and X will get an interior very similar to the Model 3 and Y which would be a very logical step to help Tesla meet its autonomy goals for the “Tesla Autonomous Network.” A horizontal screen will help if people want to watch movies while the car drives people to where they need to get or even before full autonomy during Supercharger recharges. Who knows when exactly you will be able to browse the Netflix Supercharger subcategory of series with episodes around 20 minutes — but the sooner, the better! Unfortunately, there’s no way for us to know at this point whether the drivetrain refresh will also include the new interior or whether that refresh will happen at a later date (presuming it happens at all). Is Tesla going to introduce an exterior refresh? Personally, I don’t think so since the current design is just absolutely amazing and it would require massive changes within the Fremont factory body and paint shop with little clear benefit. For now, all we know is that the first few hundred drive units have been shipped from the Gigafactory, and our source indicated the S/X refresh was “imminent.” Because it’s a few hundred and not a few thousand units, though, it’s possible that this is just a test run and that it might still be months until Tesla announces the refresh. It’s hard to know how long any testing processes might take. In the meantime, we will keep our eyes peeled for any further updates or leaks. A thorough audit is seen as particularly important since the collapse of Carillion last year. Companies go out of business all the time, but big companies should be an exception. They have responsibilities to the communities where they operate. They employ lots of people and perform economically essential tasks. So they need to be resilient and have the capacity to adapt. So what part does a financial audit play in keeping such a corporate ship afloat? It’s a question the Competition and Markets Authority (CMA), run by former Tory MP and Treasury select committee chair Andrew Tyrie, attempted to answer last week in a report that asked how greater competition might improve audit quality. It is a question that ministers have asked Sir Donald Brydon, a City grandee who is currently chair of the London Stock Exchange, to address in his forthcoming review of the “quality and effectiveness of audit”. This followed an initial recommendation for a revamped audit watchdog by Sir John Kingman, a former Treasury official who is now chairman of Legal & General. Clearly, after the collapse of Carillion last year, parliament sees a thorough annual audit of a firm’s financial accounts as important in keeping a business seaworthy. Unfortunately, most auditors approach their work as if checking a piece of machinery, albeit one with more moving parts. Audits work like a health check by a private doctor who knows that their patient might well cover up symptoms of what will later become a life-threatening condition – either out of embarrassment or, more importantly, to limit the costs of treatment. An executive may want to cover up mistakes or wrongdoing for the same reason. The “doctor” needs to ask some probing questions before declaring the patient fit. The CMA has considered the topic in line with its remit, which focused on the structure of the audit market. It has demanded only limited reforms. One is that companies commission two audit firms to check their books if one of the firms they use is a member of the Big Four – KPMG, PwC, Deloitte or EY. This move should, according to Tyrie, empower smaller firms of auditors to gain a bigger foothold in the market and therefore provide a greater challenge to the big four. He argues that with competition comes greater quality. Tyrie also wants audit departments within the larger accountancy firms to adopt Chinese walls to prevent their work being used as a calling card for more lucrative consultancy contracts. Timid is the best description of these proposals, because only a separate audit industry, cut free from tax and management consultancy work, can ever be truly independent. Beefing up smaller firms is something the government needs to be actively involved in facilitating, because expecting auditors to treat the idea of joint working with anything other than disdain is naive. So the CMA’s efforts amount to little more than the kind of window-dressing the audit industry has managed to maintain ever since Arthur Andersen perished following the collapse of Enron in 2002. From that point onwards, auditors have repeatedly told ministers that imposing too many rules will only lead to another accountancy firm dying under the weight of unjustified compensation claims (Arthur Andersen was cleared of wrongdoing by the US courts). Should we expect any better from Brydon, given that his report will be from the perspective of shareholders and shareholder representatives, with only Alison Hopkinson, the chief operating officer of Oxfam, to represent the interests of wider society? Not really. Only a more fundamental shake-up will prevent managements from sinking companies, like they did at Carillion. Business minister Greg Clark should take note. The price of gold has been going down in recent weeks and is currently at its lowest level since the turn of the year. And that means Asian families may be able to sleep a little easier this weekend. Why? Because research presented to the annual conference of the Royal Economic Society says burglars believe there is a higher likelihood of finding gold – normally in the form of jewellery – in Asian homes, and increase their larcenous behaviour when the price of the precious metal is high. Researchers Nils Braakmann, Arnaud Chevalier and Tanya Wilson used the link between gold and burglary rates to test whether criminals are economically rational. In 1968, the late Nobel prize-winning economist Gary Becker wrote that individuals would turn to crime only if the expected proceeds, once adjusted for the risk of getting caught, outweighed the returns from living within the law. If Becker’s theory is correct, districts with a high proportion of Asian households should see an increase in the burglary rate when the gold price goes up, because that changes the supposed risk-reward equation for potential burglars. And this was supported by the evidence from England and Wales. The researchers drilled down into neighbourhood-level crime data and found that an increase in the gold price by £100 an ounce led to a 1% increase in burglaries, with a greater share of Asian households affected. In neighbourhoods with the highest share of Asian households, the number almost tripled. There were, of course, two sides to the original Becker thesis: expected returns and the risk of getting caught. When the gold price is rising, the police should step up visible patrols in districts with a high proportion of Asian households, because that would act as a deterrent to would-be burglars. The end of the age of the internal combustion engine looms – and unexpectedly soon too, as carbon limits and the prospect of outright bans put big carmakers on alert that they need to change rapidly. The accelerating transition has caught out some manufacturers. 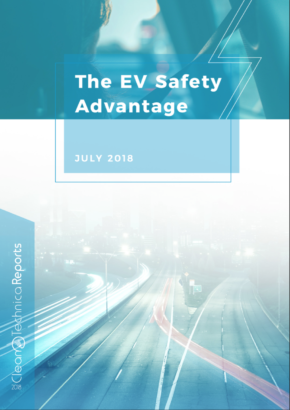 According to analysis by Jato Dynamics, based on 2018 data, only Tesla and Smart – out of 50 major manufacturers – will currently avoid steep European commission penalties planned for carmakers whose vehicles emit more than an average 95g of carbon dioxide per kilometre. The penalties come into force from 2021, but some of the most polluting carmakers selling in Europe are now fighting to avoid the fines. And rather than upgrading to cleaner technology, they are instead seizing on legal loopholes. Under the EU rules, carmakers can pool emissions across brands. But they can also buddy up with other manufacturers to make “open pools”. Japan’s Toyota has teamed up with Mazda, which it part-owns, but Fiat Chrysler has paired with Tesla. Fiat is understood to be paying hundreds of millions of euros to average its emissions alongside Tesla’s zero-emission cars, thus dodging hefty fines. Fiat insists it is committed to reducing emissions but is entitled to “optimise the options for compliance that the regulations offer”. It is a grubby deal on both sides. Tesla founder Elon Musk proclaims that he wants to “accelerate the advent of sustainable transport”, and a ticking counter on Tesla’s website says its vehicles have so far saved 3.6 million tonnes of CO2 emissions. 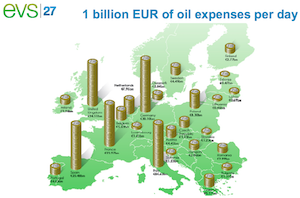 Those green ambitions appear to have disappeared when faced with a pile of cash. The compromises of putting a monetary price on pollution are often uneasy and sometimes necessary, but Fiat’s approach leaves a noxious taste: economically wasteful, unfair on competitors investing in greener factories, and against the spirit of environmental protection.